Cash Stax Slots has loads of FREE spins, multiplied wins and an incredibly generous RTP! What more could you want? Login and spin to win today! 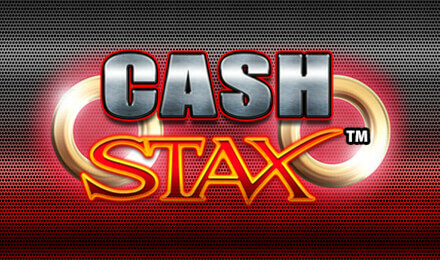 With the RTP averaging between 94.12% and 98.14%, you’ve got loads of chances to win big in Cash Stax Slots! The Jester Wild can replace any other symbol except the Scatter, which is represented by the Golden O. The Scatter will activate your FREE spins – the number dependent on how many Golden O’s appear across the 5 reels. This feature can be reactivated PLUS you can multiply your wins 5x! Good luck!